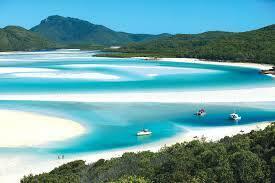 Australia promises to be one of the top five new luxury yacht charter destinations for 2015/2016. But don’t worry, only a lucky few travelers find their way to these exotic cruising grounds. And cruising the Whitsunday Islands is a truly iconic experience that offers the chance to explore some of the most naturally stunning seas and most beautiful islands in the world. Consider a dive charter in the Whitsunday’s and Great Barrier Reef for exceptional scuba diving and snorkeling among these world renowned reefs. A limited number of exclusive private charter yachts will be based in Australia for the coming seasons so contact us now for further information and brochures. From Mega yachts to luxury catamarans and sleek sailing yachts, we’ll help you choose the right luxury charter yacht to suit your party and tailor the itinerary to create a totally bespoke sailing holiday. Ashore you will find Australian hospitality, wild natural beauty and wildlife, fabulous sandy beaches, some elegant boutique hotels and fun beach bars, fascinating aboriginal archaeology and art. Located between the Queensland coast and the Great Barrier Reef, the Whitsunday’s region offers some of the best sailing waters in the whole of the Australia – and many would say – in the world. Whether you’re a sailing purist looking or simply looking for an unforgettable yachting experience for the whole family, luxury yacht charter in the Whitsunday’s is a ‘must-do’.